The Dodgers have announced their starting pitchers for the regular season’s remaining six games, and while it is (as always) subject to change, there are some interesting tea leaves to read. 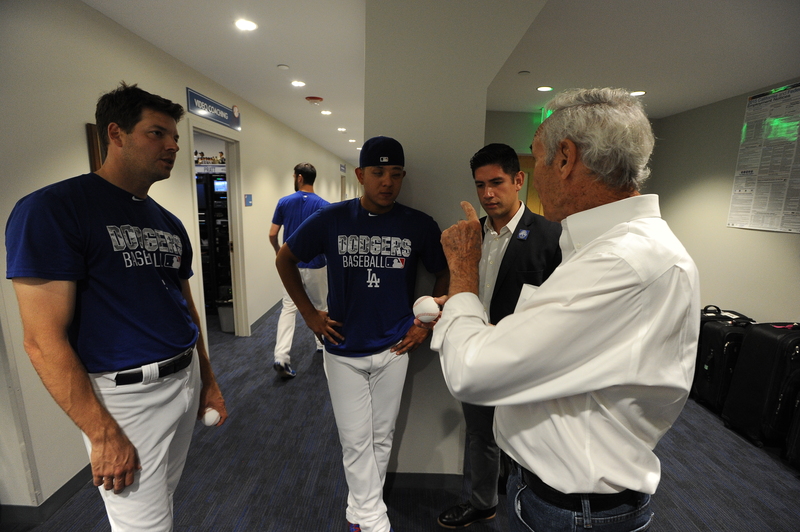 Fresh off a recent conversation with Sandy Koufax (above), Julio Urías has been pegged to start Thursday for the Dodgers, following — in a switch — Kenta Maeda tonight and Jose De León on Wednesday. With Rich Hill, Clayton Kershaw and Maeda slated for the final series against the Giants, that means veterans Brett Anderson, Scott Kazmir and Brandon McCarthy would appear to be all but out of consideration for the National League Division Series. In their only appearances of the month, Anderson threw five innings September 22, Kazmir a single inning September 23 and McCarthy — most encouragingly — six innings of two-run ball September 25. There’s never been any shortage of surprises with these Dodgers, but you’d be asking any of those pitchers to start on 2 1/2 weeks of rest, simulated innings aside. Game 4 of the NLDS would be played October 11. Aside from the implications for finalizing the NLDS roster, the main question now is whether Urías, who has a 3.53 ERA this season but has thrown only two innings since September 13, is in a competition with De León to be positioned as No. 4 starter in the playoffs, or whether this is all a backup plan. Based on Dodger playoff history from 2013-15, Clayton Kershaw would come back on three days’ rest to pitch in Game 4. His recovery from a disk herniation has mostly tabled that concept, but if Kershaw is feeling 100 percent, would you count him out? Essentially, the Dodgers can start Kershaw in Game 4, turn to one of the rookies, or treat it as a glorified bullpen game, with Urías or De León combining with Ross Stripling to take the starter innings. We’ll find out soon enough, won’t we? Meanwhile, Hill pitching before Kershaw this weekend in San Francisco shouldn’t necessarily be interpreted as a change in the pecking order. It’s far more likely to give Hill an extra day of rest before he takes the mound in the playoffs. 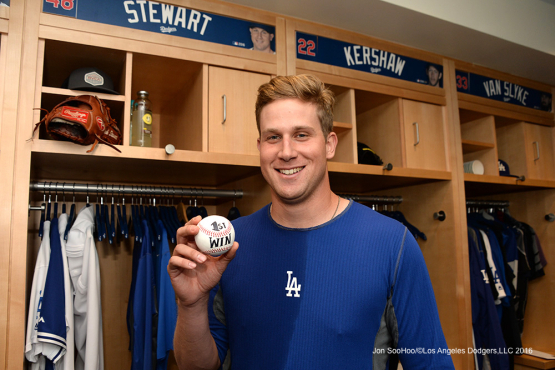 By pitching Saturday, Kershaw would open the NLDS on five days’ rest, with Hill on seven days’ rest. However, if you want to mull something off the wall, consider this: There are three days’ rest between NLDS Game 1 (October 7) and Game 4, but four days’ rest between NLDS Games 2 (October 8) and Game 5 (October 13). So if you wanted Kershaw to pitch on normal rest for two games, a Game 2 start would be the way to go. In that case, though, you’re guaranteeing the need for a fourth starter in the series. Update: Dave Roberts confirmed tonight that it would be Kershaw, Hill and Maeda to begin the playoffs, in that order. On this night two years ago, Clayton Kershaw took the mound for the Dodgers against the Giants with a fourth consecutive National League West title within reach, and pitched eight innings to a 9-1 victory and the title. With the Dodgers’ magic number currently at two, Kershaw has the opportunity to do the same thing tonight, with one catch. Los Angeles is hosting the Rockies while the Giants (and Madison Bumgarner) get underway in San Diego 30 minutes earlier, so it’s not entirely within the Dodgers’ control. Nevertheless, Kershaw will attempt to do his part in his fourth start this month since returning from the disabled list. 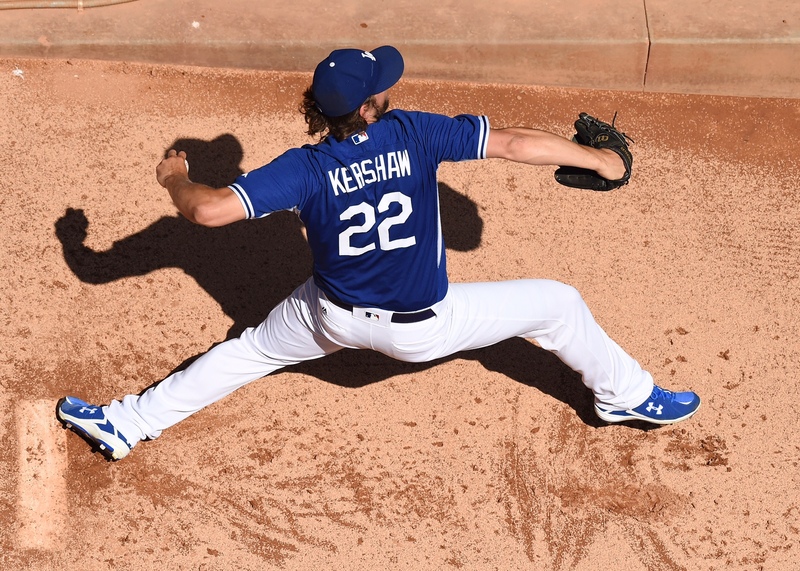 After allowing single runs in his first two innings at Miami, Kershaw has thrown 12 innings, allowing six baserunners and striking out 14 with a 0.00 ERA. Chad Bettis, who has a 4.79 ERA but pitched a two-hit shutout at Coors Field against the Giants on September 5, will start for Colorado. This will be Kershaw’s penultimate start of the 2016 regular season, according to Dave Roberts, who outlined most of the Dodgers’ starting pitching plans for the remaining games. Brandon McCarthy is being activated from the disabled list to start Sunday. 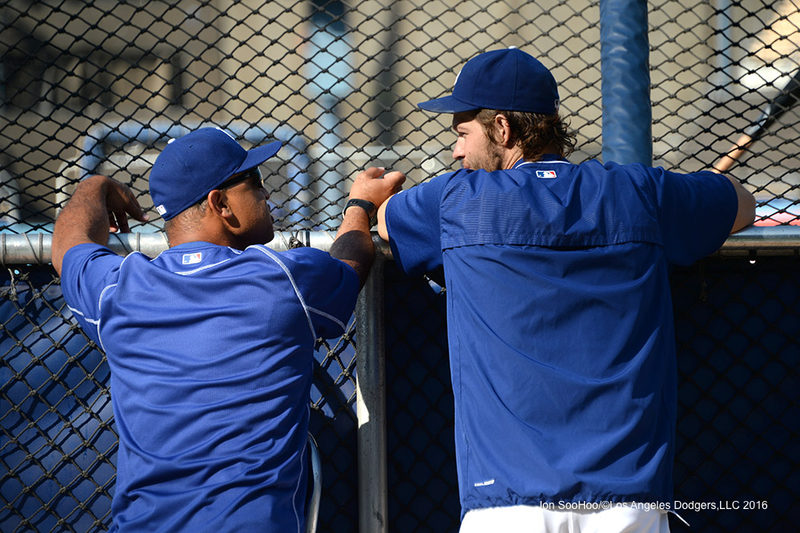 After an off day Monday, Jose De León will take the mound Tuesday for the Dodgers at San Diego. Kenta Maeda will follow De León against the Padres on Wednesday. Thursday’s Dodger starter wasn’t officially announced, though Brett Anderson would line up for that spot. For the final series in San Francisco, Kershaw will pitch in the first or second games (September 30 or October 1). Rich Hill — who is being skipped this weekend as part of the ongoing effort to protect his blister-prone finger — will go October 1 or in the finale October 2. Scott Kazmir, forced out of the game after an inning Friday, has neither been guaranteed another start this year nor ruled out. If the Dodgers win the division, their first playoff game will be October 7. 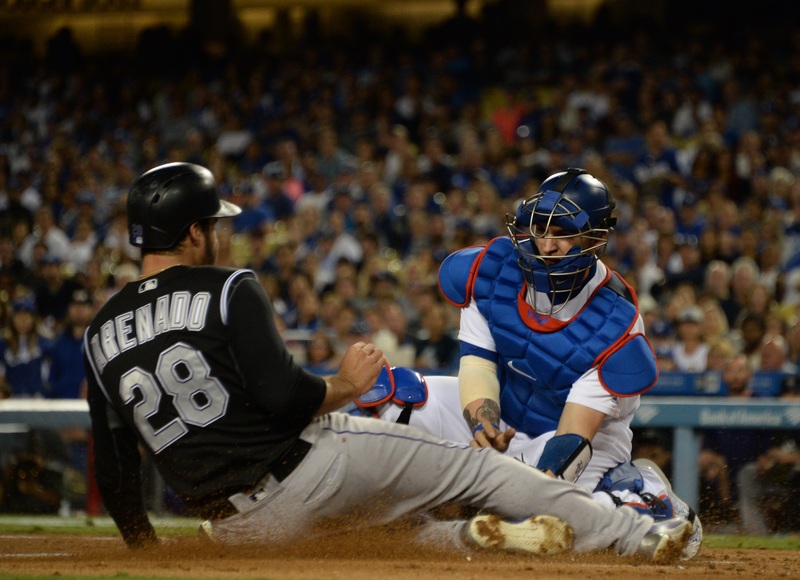 The Dodgers’ fourth consecutive division title could arrive inside of 24 hours. 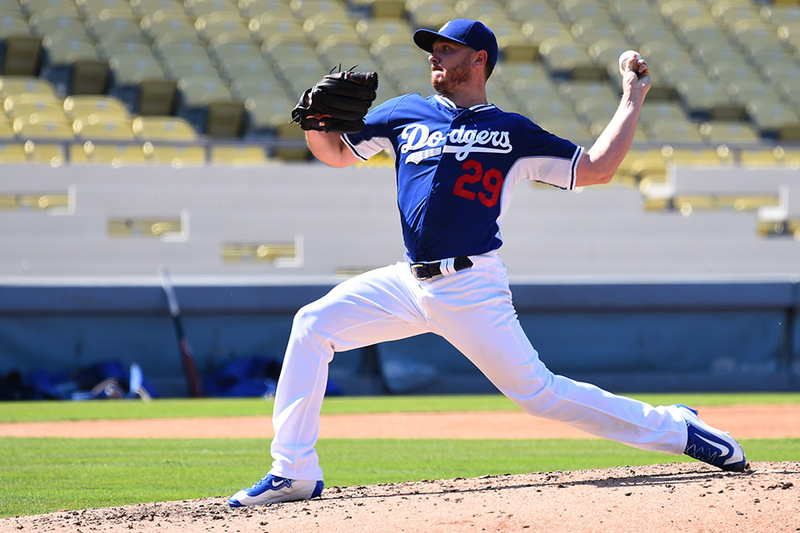 Scott Kazmir will follow Brett Anderson’s Thursday start against the Rockies by taking the mound Friday, Dave Roberts said today. 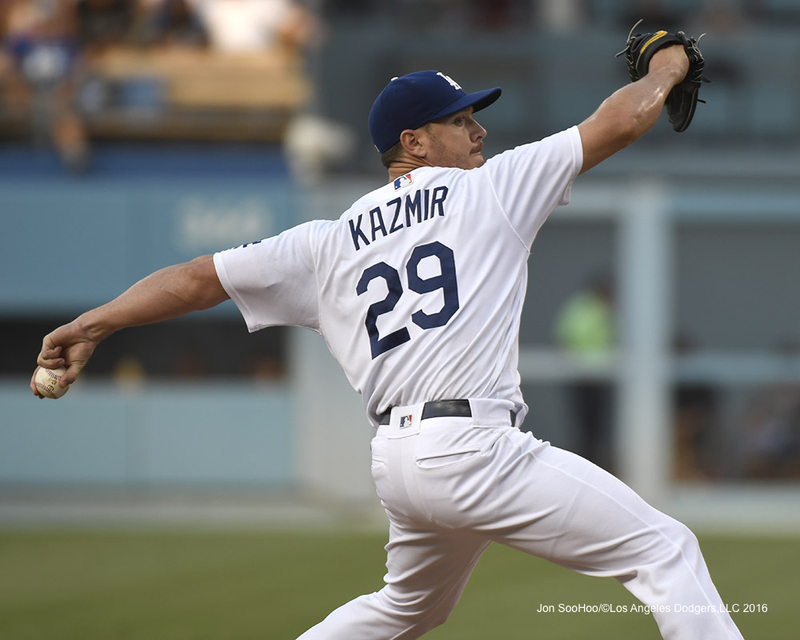 The left-handed Kazmir hasn’t pitched in a Major League game since August 22, when he allowed four runs and nine baserunners in a season-low 2 2/3 innings against the Reds (a game the Dodgers won, 18-9). Kazmir and Anderson both went on the disabled list the next day. 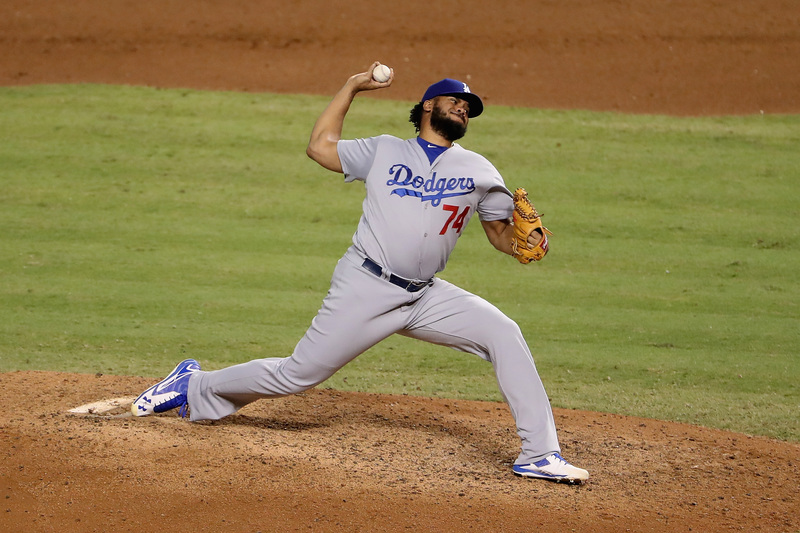 Dodgers at Diamondbacks, 5:10 p.m.
As MLB.com’s Ken Gurnick reported on Friday night, Kenley Jansen is dealing with some discomfort in his right wrist. Dave Roberts told reporters before Saturday’s game in Arizona that Jansen has a mild stiff wrist and added that he’s not concerned. Good thing because Jansen has been utterly dominant since June 14 when he struck out the side for the first time this season. In his last 41 games, Jansen has struck out 69 of the 141 batters he has faced (48.9 percent) and walked only five in 39 1/3 innings. He is averaging 15.8 strikeouts per nine innings in that span. Though it’s not as dramatic as it was in July and August, when seemingly every start was up for grabs, the Dodgers did have some small tweaks and tidbits to share this afternoon about their starting pitching. Brock Stewart will make Saturday’s start at Arizona instead of previously announced Bud Norris, according to Dave Roberts, who said Stewart was getting the nod based on “the way he’s thrown” in his recent outings. Norris will remain available out of the bullpen. Joining Brett Anderson and Brandon McCarthy in the past week, Scott Kazmir tonight had a short-circuited rehab outing. Kazmir, whom Dave Roberts today said was potentially on track to pitch for the Dodgers at Yankee Stadium next week, faced seven batters for Oklahoma City in its opening playoff game against Nashville. Two walked, two were hit by pitches, and one — Renato Nunez — hit a three-run home run. Kazmir then left with the trainer before the inning was over, and was said to be heading back to Los Angeles for evaluation, as Jack Baer of MLB.com wrote. The playoffs begin for the Dodgers today. The Triple-A Oklahoma City Dodgers that is, as well as two other Dodger minor league partners — the High-A Rancho Cucamonga Quakes and the Low-A Great Lakes Loons. Padres at Dodgers, 1:10 p.m. The Dodgers’ official roster move today was to make Jose De Leon their 31st player on the active roster and their first to take the mound today against San Diego. But they also signaled a bigger roster move to come later this week. According to Dave Roberts, Los Angeles plan to send National League Cy Young Award candidate Clayton Kershaw to the mound Friday at Miami for the start of the Dodgers’ 10-game road trip. If he resumes his big-league campaign Friday and works regularly on four days’ rest, Kershaw would theoretically have five regular-season starts remaining: September 9 (at Marlins), September 14 (at New York Yankees), September 19 (vs. Giants), September 24 (vs. Rockies) and either September 29 (at Padres) or September 30 (on five days’ rest at Giants). Obviously, that’s just on paper — there’s a lot of road between now and the end of the month. The parallel universe that is the Dodgers’ disabled list came to life at Dodger Stadium today. As the active roster prepared for its game tonight at Colorado, six Dodger pitchers — Clayton Kershaw, Brett Anderson, Scott Kazmir, Brandon McCarthy, Hyun-Jin Ryu and Alex Wood — strode the field today to continue their rehabilitation from injuries. Four of them — Kershaw, Anderson, Kazmir and McCarthy — took turns throwing simulated innings off the mound, to a group of imported Dodger minor-leaguers whose seasons have ended. Kershaw, of course, was the headliner, throwing 35 pitches with high intensity in two innings. 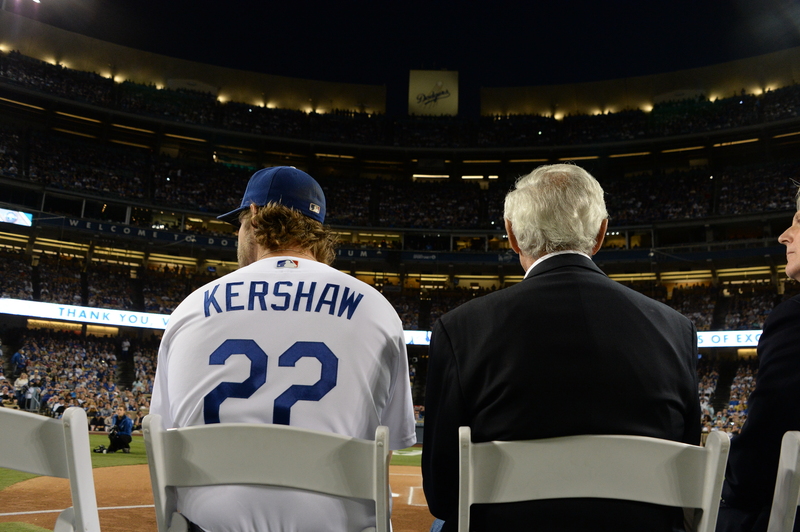 He wasn’t ready to pronounce any verdict — “Last time I came out of this OK, got home and felt terrible,” he said — though Andrew Friedman told reporters in Colorado that Kershaw’s next step would be a minor-league rehab game.